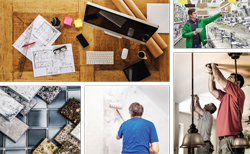 Building the home of your dreams is an aspiration shared by millions of Americans, but building from the ground up can often seem like a prohibitively expensive proposition. It doesn’t have to be. If you take a systematic and practical approach, you might be able to achieve that ideal home within your budget. 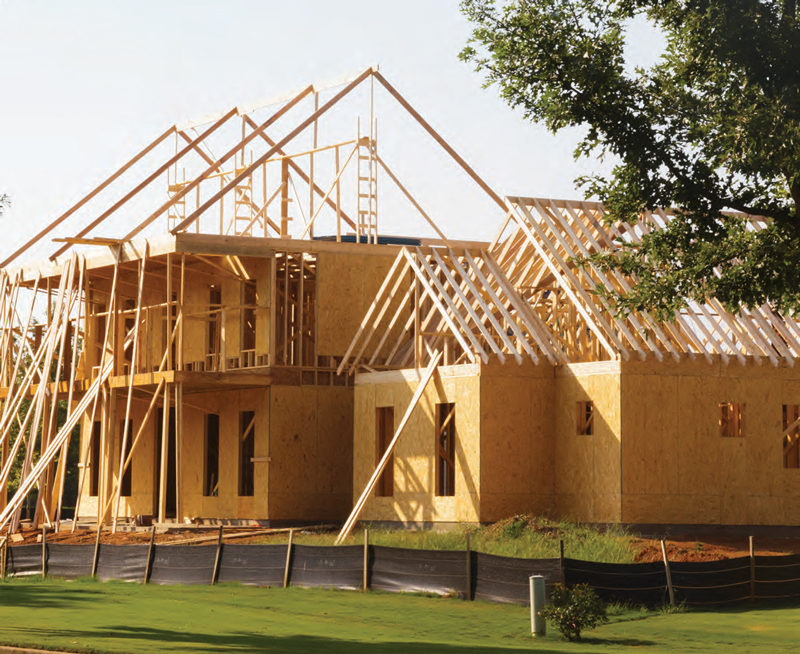 We reached out to a local expert in the field of new construction for some tips and tricks to help keep expenses down while building your dream abode. Experienced builders understand where their clients are coming from, including how overwhelming it can be. “It’s a daunting process,” says George Baron, who founded Baron Enterprises over 26 years ago. One way to alleviate the stress is to talk to friends and family, and ask for recommendations, so you get contacts you trust. “Getting referrals from a satisfied customer can be a prospective new home owner’s best course of action to save money,” he says. When choosing an architect or a builder, interview them to get a clear understanding of not only pricing, timing and quality of their work, but who you think you could work with the best. Another key point is to remember that builders will also be interviewing you, and they do not want to work with people with unrealistic expectations. “Choose a builder that you’re comfortable with and have fun,” says Baron. And since a good builder can make recommendations throughout the process to help you save money, it’s worth investing the time to find the right one. Once you have your builder, you should draft a contract spelling out what is included in the project and how the builder will get paid. Builders arrange payments in various ways. Some may prefer monthly payments, while others may arrange payments at different construction milestones. Make sure that these payments are outlined in your contract, and, if needed, coordinate payments with your lender. As for financing, you have choices there as well. Research multiple lenders to learn about their specific programs. Construction loans can sometimes be converted to a mortgage with only one closing, saving on closing costs. You can also look to lock in an interest rate so you know what you’re getting before you close. A well-connected builder can refer you to other trustworthy partners, including lenders and designers. “We provide access to our personal banking relationships and our architectural relationships,” says Baron. In addition, Baron’s firm offers to develop basic plans—with an estimate of pricing—before even meeting with an architect to see if the owner’s ideas are feasible, which can save both money and time. Many builders will give clients “allowances” to cover the cost of certain items, and that dollar amount is included in the price of the project. This could include selections of tile, lighting and carpet. If you make smart choices ahead of time—and stick to them—you can establish realistic allowances and add to your budget. According to Baron, you should pay close attention to those allowances in the bidding process. “Not all builders are upfront with buyers,” he says. “Some low bid to get the job, and then the customer is stuck because the allowances are so low. They get a huge bill at the end.” Baron advises getting a range of bids and not just taking the least pricey. “This is a huge mistake that a lot of buyers make, thinking the lowest bid is the best.” That said, be sure to leave room for splurges, such as a decorative backsplash, or other decor statements that you will enjoy every day. Account for the splurge, then find space for it in your budget. Having a clear game plan will help avoid fees—since changing your mind comes at a cost. You’ll be charged a premium for add-ons and change orders. Of course, changes are inevitable, but knowing what the extra costs will be up front will help you make smart decisions. One way to garner extra help is to engage an interior designer, who may be able to recommend creative solutions for creating beautiful spaces while avoiding costly mistakes. 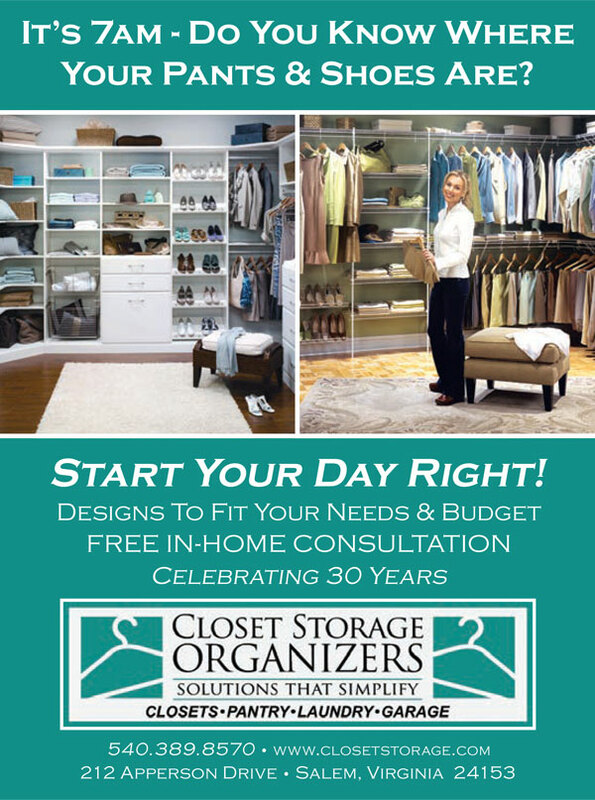 You can save money while benefitting from design support if you purchase from a store that has a designer on staff. Need help with paint colors? Find a paint store with free design consultants and leverage their expertise, at no charge. It’s also sometimes smart to sweat the small stuff—and not fall into the “it’s only a few dollars more” trap. Small charges add up and can wreak havoc with your budget. Instead, account for everything, and think of tradeoffs to keep costs level. When it comes to big-ticket items, keep an eye out for sales and leverage your contacts. Appliance stores often have holiday sales, around Black Friday or Labor Day, for example. Keep track of when your local cabinet sellers have their annual sales. And see if your builder can get you items, such as lighting fixtures, using their contractor discount. Ask your builder if there are some other time-honored tricks of the trade you can employ. For example, instead of expensive custom cabinetry, opt for stock cabinets, and then upgrade with nicer doors and hardware. “We’ve done that with customers on a tight budget and it works well,” says Baron. That will free up funds for what’s important personally. If a commercial-quality range has always been a dream, get it—and cut costs elsewhere, especially in areas that can be upgraded later. For example, adding a larger range to a kitchen designed for a standard stove is just setting you up for a pricey kitchen remodel. Instead, get the big stove up front and hold off on that expensive deck. Build a concrete patio for the short term, and add a nicer deck down the road. If you are building a home that you think you may sell in the near future, then it might be wise to involve a real estate agent in the building process. Some builders, like Baron, may even hold a real estate license, so they can advise on resale value as you build. Baron says that his firm’s work creating dream homes has resulted in “most of our customers becoming our friends.” “It’s such a creative and exciting process, and most people dread it,” says Baron. But if you do it right, in the end, you can achieve your goal on time and within budget. If you’re thinking about building your dream home, don’t let the initial price tag dissuade you. Careful research and engaging the right experts can help you make your dream a reality.